Upon his arrival to Philadelphia, Fr. Nerses Manoogian, with the intention of taking care of the needs of the latar and vestry, brought some talented ladies together and formed a new organization called Altar Guild in 1992. Since then, the dedicated ladies been taking care of the latar and been providing very ornate and traditional vestment for their pastor. 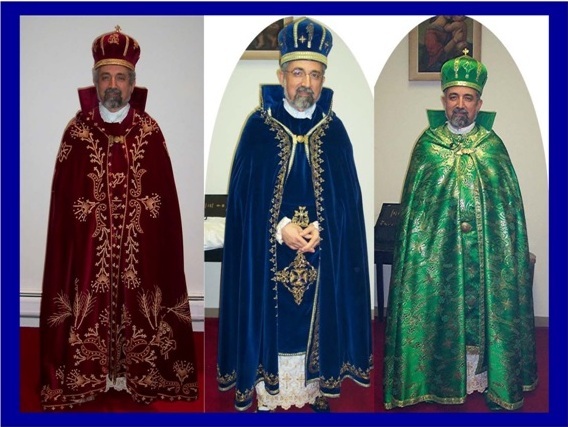 Below are samples of the vestments the Guild members provided for their pastor. If you need to donate any altar cloth or any object for the altar, please contact the chair lady, Kayane Shirozian, or call Der Nerses @ 215 482 9200.